In this TIGER Tale, Beth Thomas will share her journey from Corporate Executive to successful entrepreneur. Beth will share her story of the risks, the failures, the rewards, and most importantly the joys of her experiences on the path to becoming CEO of her own growing business. As CEO of Change 4 Growth, Beth Thomas is responsible for the overall success of a widely respected consulting business. 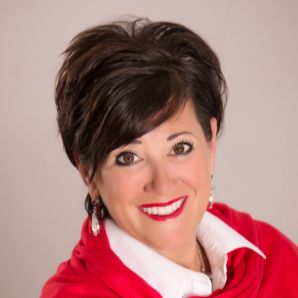 Beth has 25 years of experience specializing in Transformational Business Change & Readiness, Leadership, Learning & Development, Culture Shaping and Employee Engagement. Beth is a globally recognized thought leader in Organizational Change, Leadership and Employee Engagement. Her work has been recognized all over the world and she has served as a trusted adviser to many Fortune 500 companies. She is a leading executive coach in helping leaders lead change and foster engaging cultures. Beth is a frequent motivational speaker for businesses and organizations across the world. She is also the published author of her own book, POWERED BY HAPPY, summarizing her years of experience in shaping productive cultures and employee engagement.